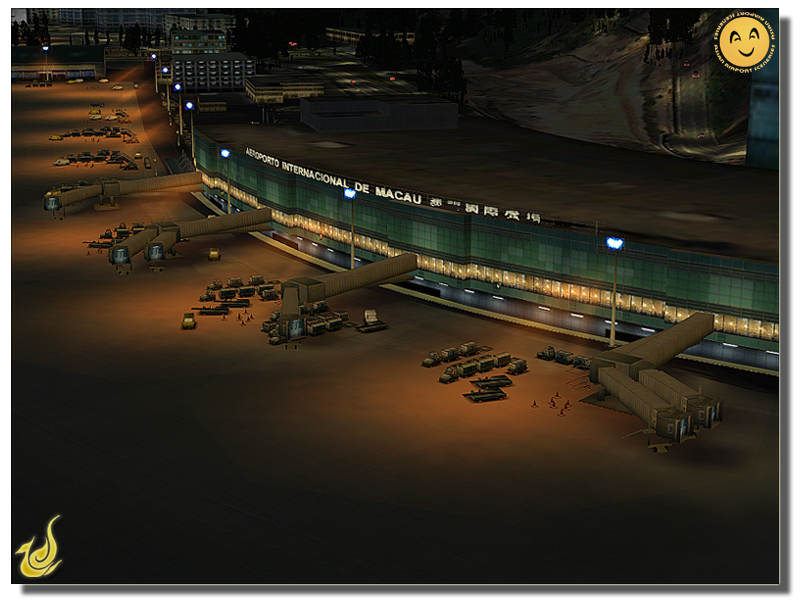 If you previously purchased THAI CREATION - NI HAO MACAU: MACAU INTERNATIONAL AIRPORT FS2004 at simMarket, you are entitled to the special upgrade price of EUR 10.00 only. NOTE: The special upgrade price will be awarded automatically, therefore you must be logged into your same account used to purchase the previous version! If in doubt contact simMarket support first! NO REFUNDS GIVEN! Situated at the eastern end of Taipa island and neighbouring waters, is the only airport in Macau, which opened for commercial operations in November 1995. Since then the airport has been a common transfer point for people traveling between mainland China and Taiwan, as well as a passenger hub for destinations in mainland China and Southeast Asia. During 2006, the airport handled 5 million passengers and 220,000 tonnes of cargo. 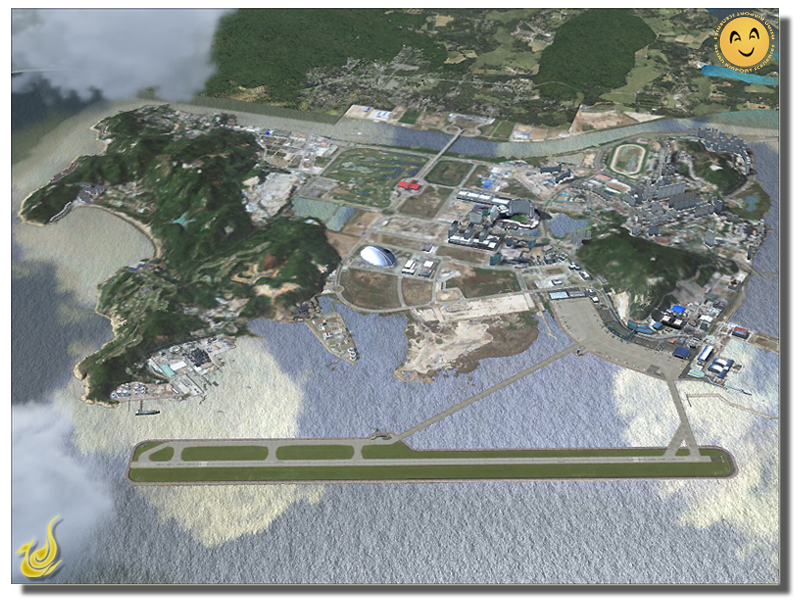 The runway was built on a strip of reclaimed land in the sea, adjacent to Taipa Island, where the main terminal and air traffic control facilities are located. 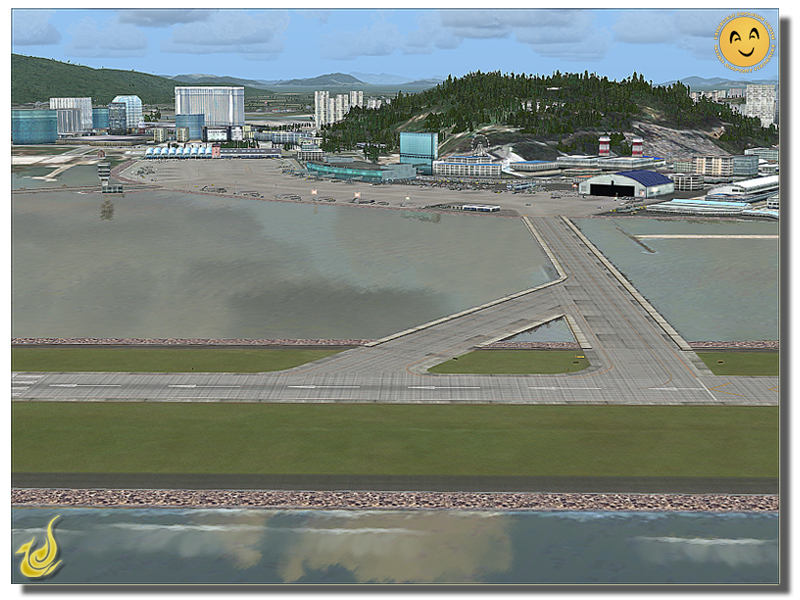 The runway is connected to the apron by two causeways. Runway 34 is ILS CAT II equipped. The airport's designed capacity is 6,000,000 passengers per year, with processing capacity of up to 2,000 passengers per hour. There are 24 parking spaces for aircraft in the apron, with 4 jetways. There are 10 gates. 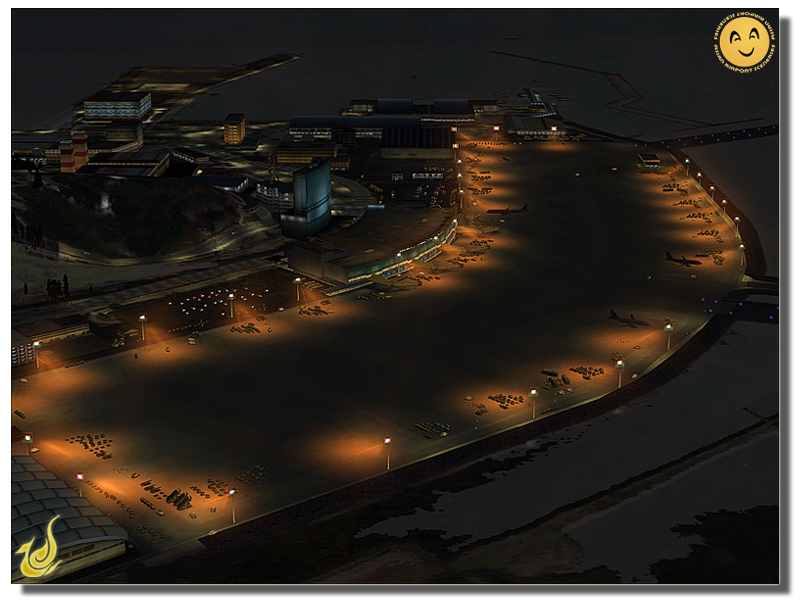 New night texture and airport night lighting. Animated Feris wheel behind the airport hotel. All new animated service vehicles. Traffic on the bridges to the Macau City. New landmarks in Macau such as Science Center and Statue of Kun Iam. 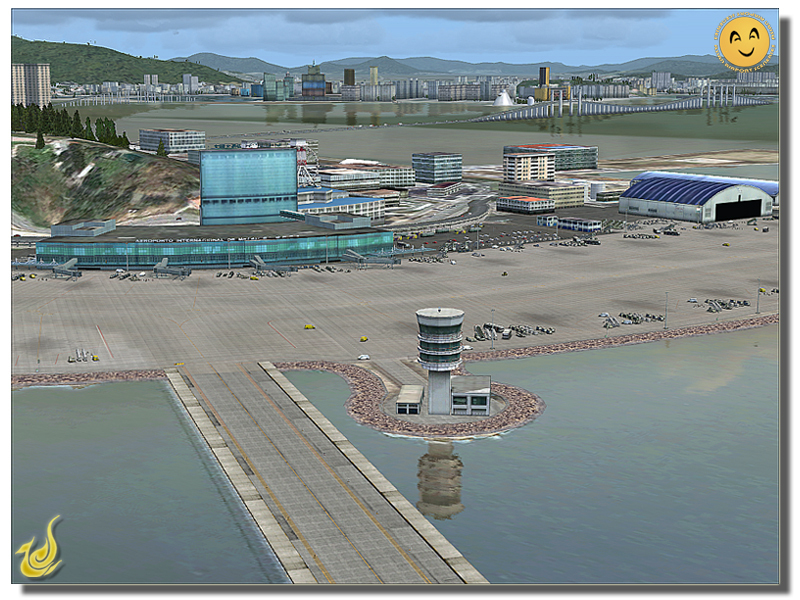 New, more detail photoscenery of the airport and entire Macau City. Landclass and waterclass of the area about 40x30 kms. are corrected to make you feel more real while approaching to the airport. Firework in the Macau City at New Year Eve time (Mid night of 31th Dec). More frame rate friendly and more detail at the same time. Custom made buildings and houses in the city and Taipa island. 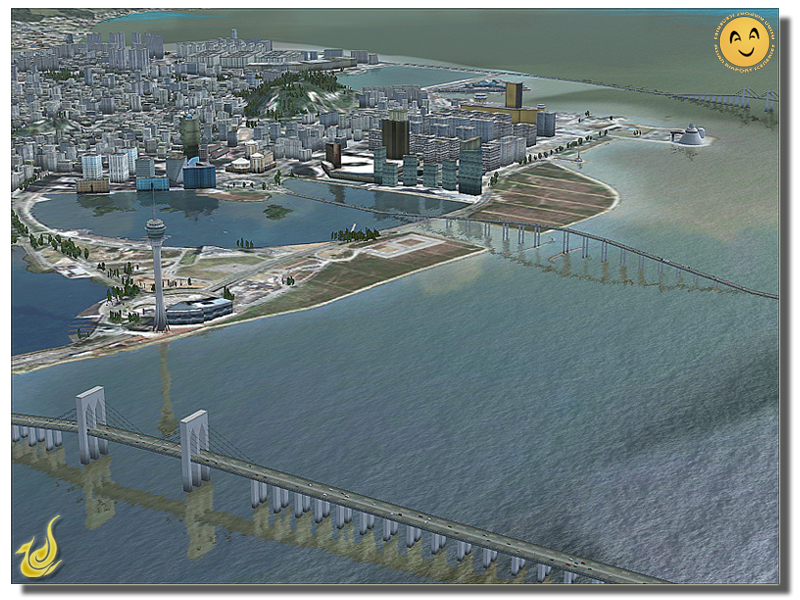 You can fly low and slow though out the city to see magnificent view as FSX intended to be. Everything about this scenery is good but especially the water where the reflection of your Aircraft when taxing is stunning. Hard to believe this installs with only 79 mb considering everything thats in it. Nice little airport and I got it cheap at 7 euros so I shouldn't complain BUT there is a caveat! If you have a ATI graphics card and/or a less than powerful PC you WILL have issues with the waterclass. The developer even states in their manual that the water doesn't blend properly on certain ATI graphics cards. Shame they didn't put that in their write-up because I wouldn't have wasted my money. Also they even have the gall to say that they will not answer email support on issues like this that are mentioned in their manuual. Other than that it would have been a great place to fly but I get really put off by lurid green squares off the coast. I certainly won't be buying any other titles of their scenery. Very nice airport with a very interesting, challenging (and neglected) 54 degrees localizer-offset approach to RWY16, over the sea and a last-moment left turn to line-up. 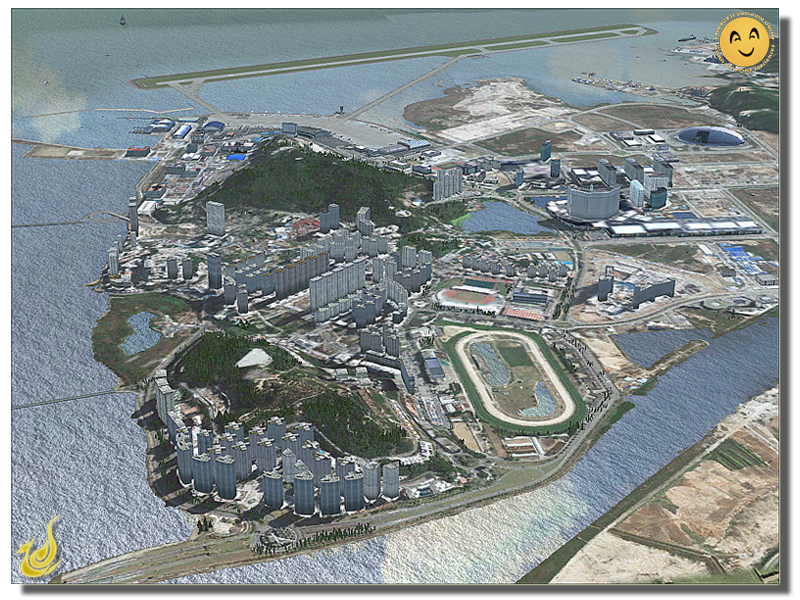 I you are missing Kai-Tak and are bored of VHHH straight-in, this is a great scenery to test your narrow or widebody jet piloting skills. 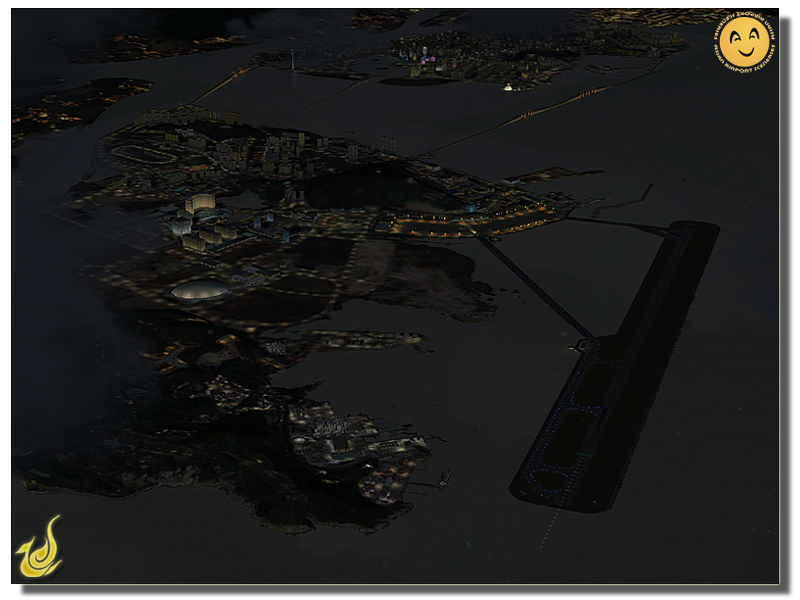 Frames are very good, with nice looking night-lighting and unique bridge-taxiways to and from apron. 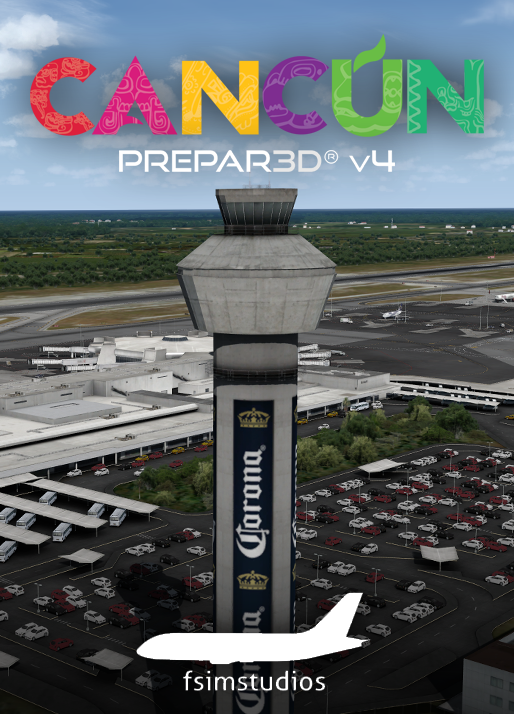 Great Airport add on' , really enhanced the FSX Default Airport a lot !! I'd highly recommend it, scenery is good and doesn't impact frame rates to badd. Hooray....! A NGX friendly airport for my average system!! Thanks Thai Creations. 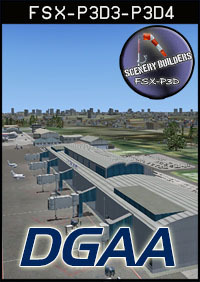 Test of MacauX Airport Scenery Produced by AA Sceneries / Thai Creations. Macau International Airport is situated at the eastern end of Taipa island and is the only airport in Macau to operate commercial and international flights. The airport was opened back in 1995 and received the ICAO-code VMMC. 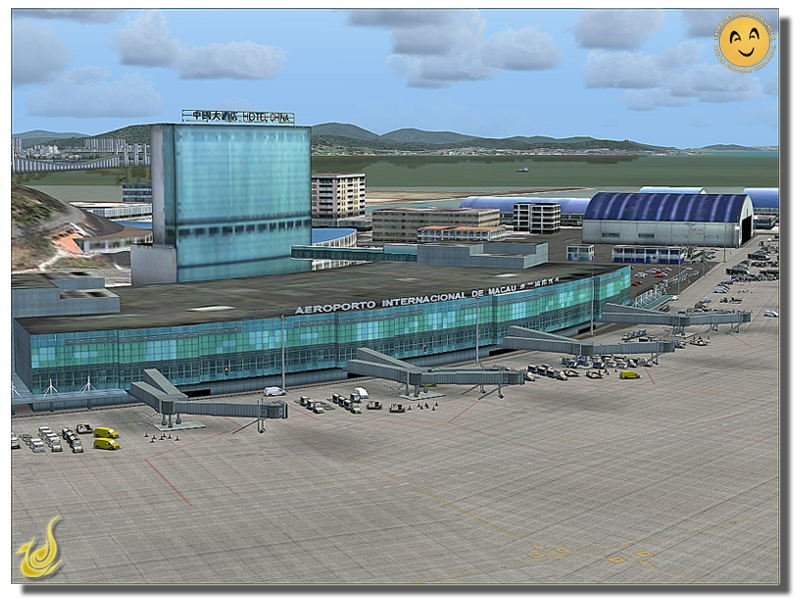 Macau International Airport is a common transfer point for people traveling between the mainland of China and Taiwan. The airport is also used as a passenger hub for various destinations in Southeast Asia. Macau has a separate customs territory from the mainland of China and as in Hong Kong, Macau has its own immigration policies which means that all travelers coming to this airport will need to go through the immigration and customs inspections for international flights. The capacity of this airport is designed to be 6 million passengers per year with estimated processing capacity of up to 2,000 passengers per hour. There are no restrictions in regards to night curfew and the apron consists of 24 parking spaces, 4 jetways and a total of 10 gates. 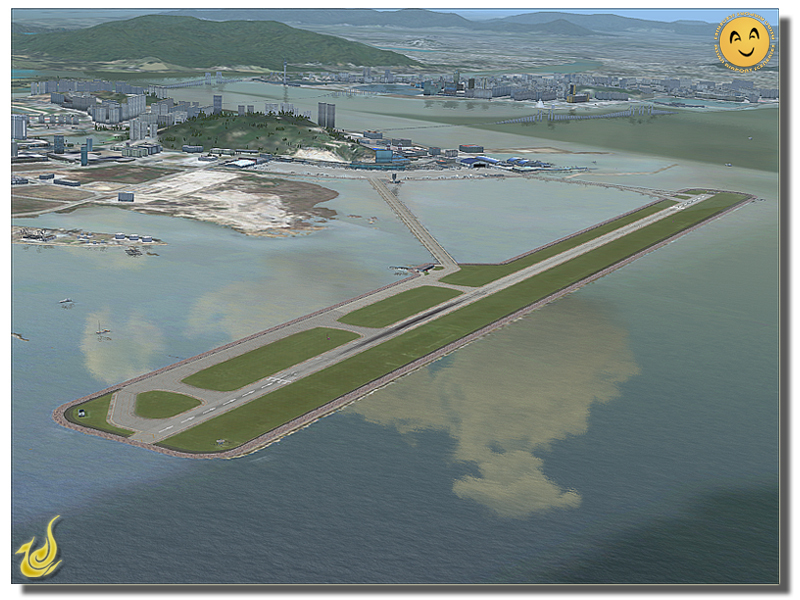 The apron, main terminal and traffic control facilities are all located on the island of Taipa, but the runway is built on a strip of reclaimed land in the sea and connected to the apron by 2 causeways. The runway 34 is ILS CAT II equipped and is capable of handling aircrafts like the Boeing B747 and Antonov AN124 which forms a vital freight link between local manufactures and overseas markets. 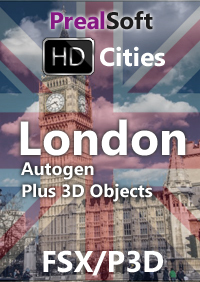 I received this scenery directly from AA Sceneries and the download went quick an easy and without any problems. The installation was a bit of a challenge at first, because this scenery package didn’t have an installer / wizard that could be activated, so everything had to be done manually. This however was not that complicated and the support from AA Sceneries was superb. After a few minutes I had the complete scenery package installed and was ready for the fun part. Please note that if you purchase this scenery from SimMarket, then there will be an installer / wizard included in the download, and you don’t have to install manually. 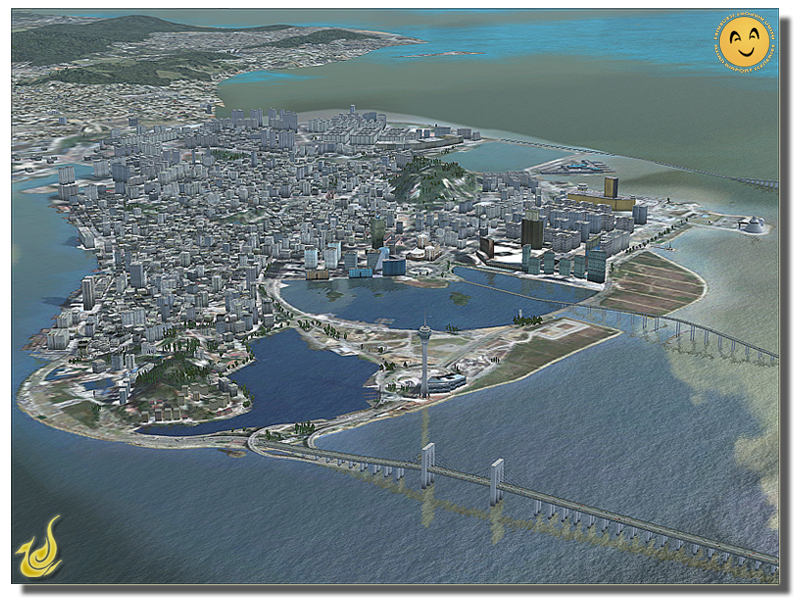 I opened up FSX and set up a helicopter flight from the Macau Airport, so that I could tour the complete airport scenery and surrounding areas with the bridges and the unique buildings at Macau city. The scenery is a huge scenery with an enormous amount of very specific details. There are lots and again lots of unique buildings that all are superbly modeled and covered with good texture without it actually having an impact on your frames. The scenery consists of the complete airport including terminal, parking, control tower and causeways to the runway, which is built on a strip of reclaimed land in the sea quite a distance from the apron. 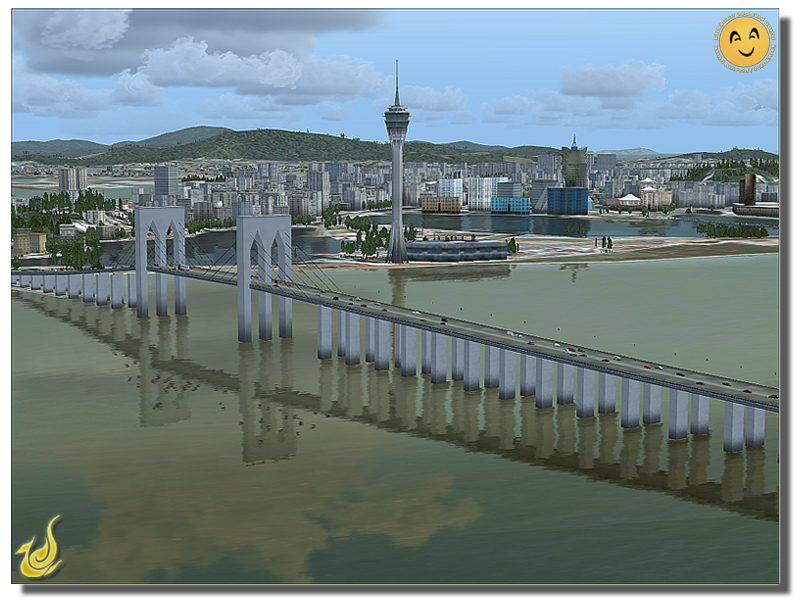 Also included in the scenery are the bridges and the city of Macau again modeled with some of the very unique buildings that can be found in Macau in real life. The finish is very good and the accuracy of the various buildings etc is also very precise according to the images I could get from Google-Earth. 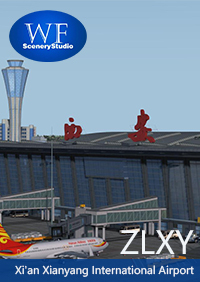 The airport scenery has a very complex and indeed very well made dynamic airport scenery with multiple various moving airport vehicles and included AI traffic. The AI traffic however, has a specific limitation which is that you need to turn off the “aircraft cast shadow on the ground” effect to get the AI traffic to work. I don’t quite know why these things are related, but this issue is described in the included manual, and therefore something that you can easily do something about. The manual included is good and will provide you with answers for the most FAQs. 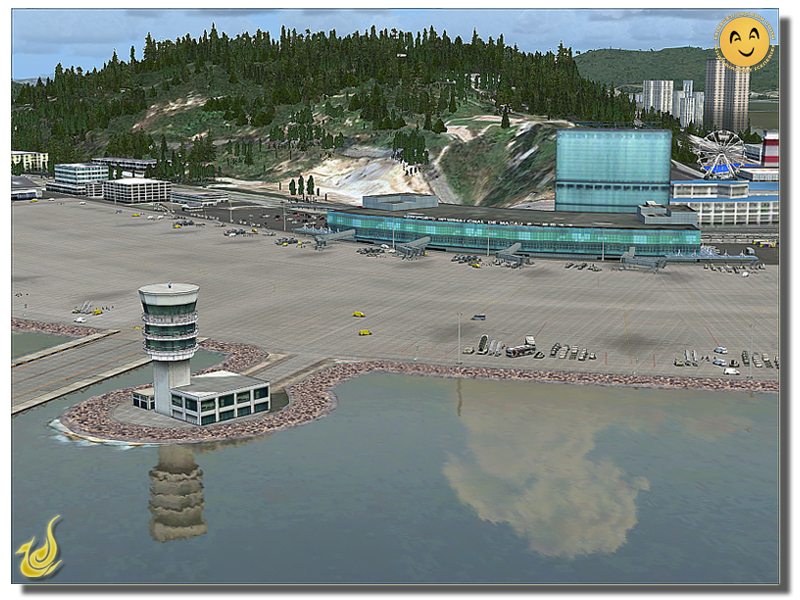 Together with the very complex dynamic airport scenery there are also a huge number of various static airport vehicles, trolleys, material etc and a nice modeled small marina. Also included in the scenery are multiple animations like the carousel next to the terminal etc. When looking at the complete scenery and hereby also looking at the AI vehicle traffic on the roads I also discovered that there are done a very nice job by actually getting the cars, busses and trucks to actually drive on the various bridges. I know that this is something that can be difficult to animate in FSX and I often see that the traffic just plumbs to the water. This is very well made in this scenery, and it is very easy to see that there has been much focus on making the scenery as real as possible and the developers of this scenery has really had an eye for the details and have made an almost overwhelming amount of details. To complete the scenery, there are also created multiple ships and boats to give the scenery even more realism. Huge tankers / container ships together with ferries and smaller leisure boats. All in all a very detailed sea scenery which I think really completes the scenery perfectly.  There is no specific sound set for the scenery – the sounds that you hear are the various traffic of both the AI traffic airplanes and the dynamic airport vehicles. When you taxi to the runway you are in for a very special ride. It is quite amazing to taxi down one of the causeways to the runway, and when you reach the land strip with the runway you can also find a very well modeled fire-truck station with fire-trucks placed both inside the station but also outside. This was again a very nice detail and I am quite amazed by the level of details and complexity this scenery has. 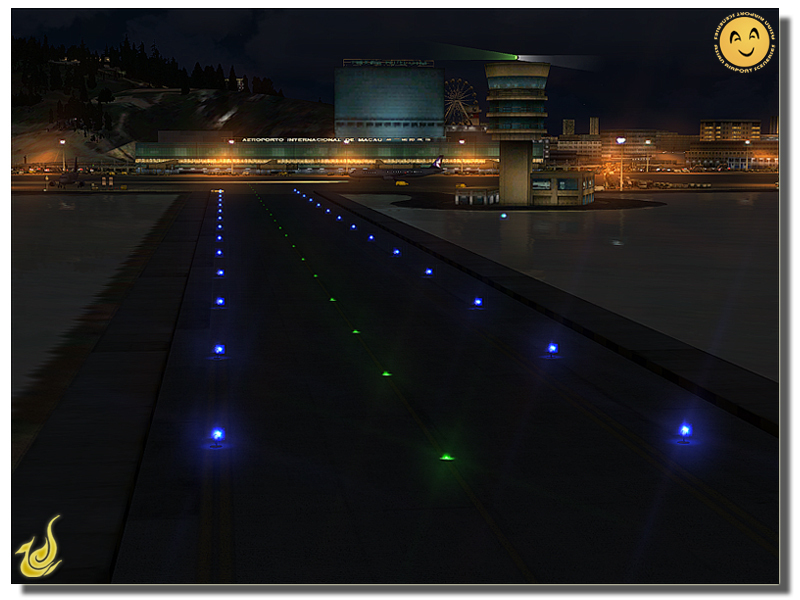 The lighting of the airport at night is as you could expect – perfect and the elimination of the buildings both at the airport but also in the city are also superb. The textures that cover this scenery are all very good and do not impact your frames heavily. The runway can however appear a little blurry on the centerline when making the take-off, but this is just a small detail. The water surrounding the scenery I think is also made especially for this scenery which I find as really nice, but it does look a bit strange when combining it with the use of REX Overdrive for FSX. I think it could have something to do with my REX settings, but still I think the boarders of deepwater versus shallow waters are unfortunately not that well made. I like the fact that the scenery is made with the eye for the detail and that all buildings are made especially for this scenery and are not just various default buildings placed around the airport. I did encounter a small issue with the boarders for some of the buildings, where I crashed into the building even though I actually was not that close to the building. Also when you do taxi in this scenery it is very important to watch out for the dynamic airport vehicles driving around the airport – if you taxi out in front of them, they will not stop, but simply just crash into you. It is not a huge issue, but something that I think is worth mentioning but actually this does add extra realism, because you also now do need to focus on the ground traffic and not just taxi ahead. I have now tested the scenery for many hours and used various aircrafts as commercial airliners, helicopters and smaller civilian props and the airport works perfectly for all classes of aircrafts and I find the scenery a delight and much fun to use. Normally I set my flights to Hong Kong when flying to this part of the world, but now this has changed. I like the scenery very much and I am continuously stunned by all the details the scenery contains. My conclusion for this scenery is that I find the complete scenery to be very well made, with good texture quality, a huge number of animations and effect, precision placement of buildings etc and all in all a great scenery that I do recommend fellow simmers to try out. You get a scenery filled up with very detailed and special created buildings to fit the reality of the real Macau airport and city and together with this you get a super complex and well made dynamic airport scenery with a huge number of various vehicles, trolleys and materials. I rate the scenery with 4/5-stars and thank AA Sceneries and Thai Creations for contributing the flightsim community with this excellent scenery. If you would like to see video clips of this scenery, then please visit my youtube channel Rays Aviation or use the link on my website www.RaysAviation.Mono.Net (found under Reviews) – the scenery is represented both as a video specifically made for this scenery and as the second part of the Captain Sim C-130 X-perience video. t approach to RWY16, over the sea and a last-moment left turn to line-up. 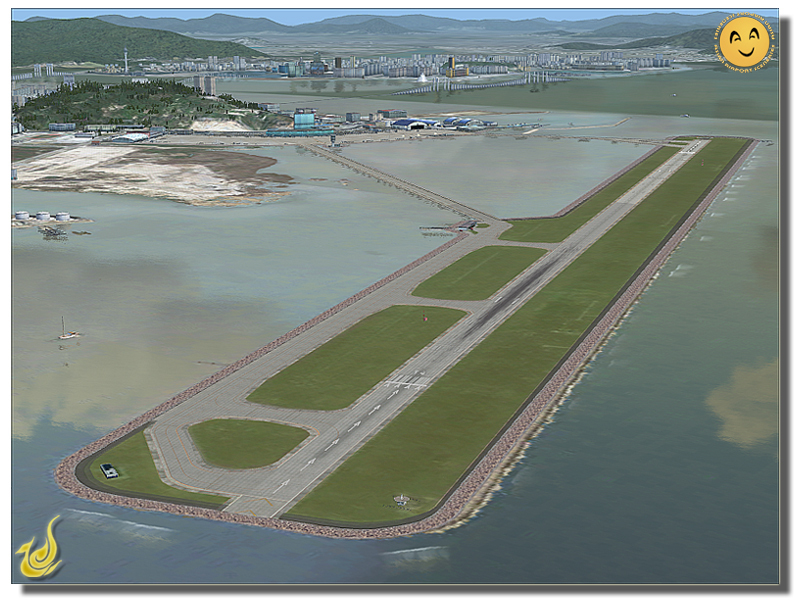 I you are missing Kai-Tak and are bored of VHHH straight-in, this is a great scenery to test your narrow or widebody jet piloting skills. 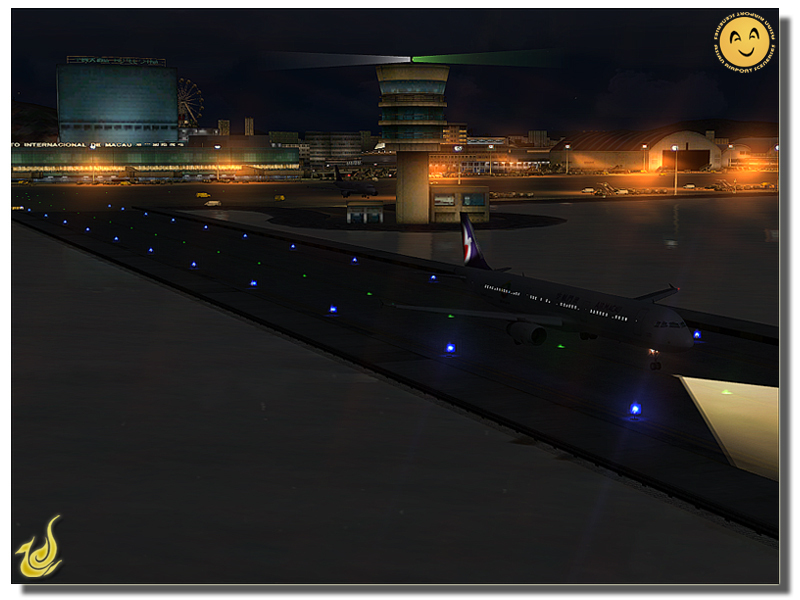 Frames are very good, with nice looking night-lighting and unique bridge-taxiways to and from apron.